Alkmaar is furiously chasing Feyenoord for the lone direct-promotion spot to the Europa League. This particular setting seemed really impossible several match-days back, with the latter in ominous form. But since then, their levels have dropped and sensing an opportunity AZ switched gears. As of now, both have posted 47 points on the board, and momentum is sure with Alkmaar. Groningen is at the verge of entering the playoff mix. They hold the eighth spot in the league table, while the first seven are counted for the post-season proceedings. They have put some good displays in recent games, but it begs to be mentioned that the team’s away from is not up to the mark, as far as their ambition is concerned. The last five games returned four AZ wins. Nine of the last fourteen wins were recorded by Alkmaar. AZ managed three or more goals in four of the last five h2h meetings. 12 of the last 14 wins at this venue went the hosts’ way. Feyenoord has won just one of their last five league ties, and if ever there’s going to be a chance for AZ to take the third spot in the table, it’s right now. 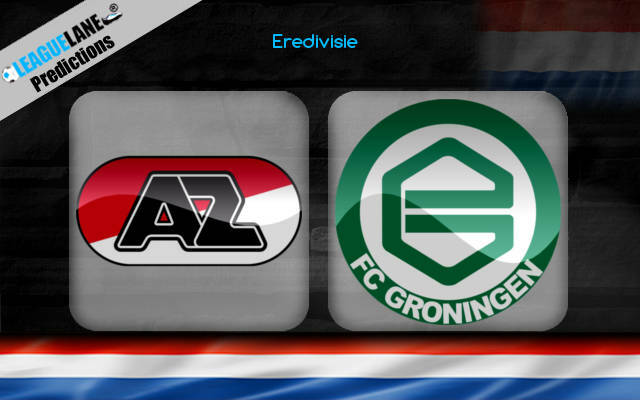 This weekend, the former is taking on Utrecht, a tough fixture, while AZ is at home, and is taking on Groningen, notorious for bad performances on the road. Groningen had just two wins in their last 13 away ties and has recorded a total of just three road wins this season. On the other hand, Alkmaar is on a winning streak of eight official home ties, with them recording two or more goals in seven of these eight. They also won four of the last five h2h encounters and recorded 12 of the last 14 wins at this venue. The hosts really do stand a chance to take a podium spot this Saturday and expect them to go after it. The hosts kept five clean sheets in their last six official home games, and with Groningen failing to score in their last two away games, expect the hosts not to concede at least for the first 45 minutes. Groningen NOT to Score in the First Half @ 1.44 (4/9).